Centre of medium sizes whose economy is mainly based on agriculture, breeding, handicrafts, Latiano is located at North of Salento. Rises next to a Messapic centre, as proven by the finds discovered in the close area of Muro Tenente. Some historians sustain that the Latiano foundation goes up to the XIth century, under the reign of Boemondo, Taranto Price. 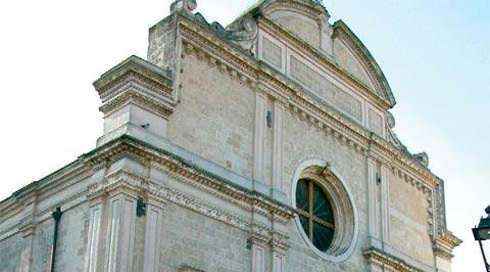 From the origin to the sale of the Latiano feud, the historical facts of Latano were the ones of the Taranto Principality. After the Italy unification a new life has begun for this town. A new impulse to the various activities was given to the construction of the State railway Taranto – Brindisi, whose inauguration was held in 1866. The misery and the precariousness of life conditions was substituted by a state of agitation that favoured the creation of small industries exploiting the local resources. The trappetts and the millstones were the first achievements (places of transformation of the olives in oil and of the grapes in wine). Latiano has given its human contribute to the First and Second World War, and many people have dead on the battle field, others for reasons connected to the war. Their names are incised on a gravestone on the frontal wall of the ex City Palace. Torre del Solise, Chiesa Matrice Santa Maria della neve, Chiesa del Santissimo Crocifisso, Chiesa di Sant'Antonio, Chiesa del Santissimo Rosario, Santuario Santa Maria di Cotrino, The monumental Opera "Terra risorta e le porte del cielo". 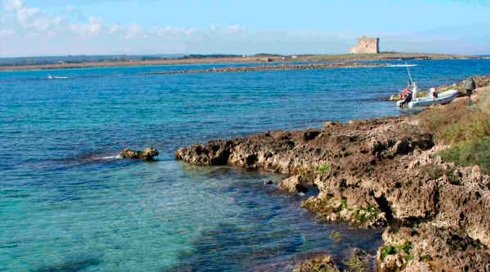 Torre Guaceto Oasis, memory of the antiques coastal marshes and also important for the archeological discoveries, situated along the coast between the Ostuni seaside and the harbour of Brindisi. A sixteenth century coastal tower dominates the landscape; the name comes from the arabic Gaw-Sit and signifies place of soft water. The reserve wards a humid area of soft water besides the Mediterranean spot and separated from the sea by a duna strip. The marine area extends between Penna Grossa and the rocks of Apani for about 5 miles, bordered at the seaside by the bathymetry of the 50 meters at about a mile from the coast. The Gli expanses of water of the humid zone, occupied by wide reed areas - Phragmites australis, are being alimented by sweet water springs that gets to the hinterland for the draining. The dunas barrier, high up to 10 metersand extended in length for about 800, risult of the millenarium action of the winds and the sea, the reign of the pioneer plants. Within the spot, extended especially in the northern area of the reserve, there are presents: the holms, the Aleppo pine-tree, the juniper, the lentisco, the cyst in its various species, the myrtle, the thyme, the scilla, a geofite able to resist to fires due to its subterranean bulb rich in nutritive substances. On the rocks grows the isles garlic. Amongst the animals of the spot we have to cite the badger, whose lairs, digged in the dunas can easily be observed, the weasel and the fox. In the humid area, frequented by a great number of migratory birds, nidificate the ardea cinerea, the egretta, the sea gallinule and theduck-hawk. The sea, populated by a rich fauna, visited by dolphins and the Caretta caretta turtle. Sometimes offshore one can discern groups of finners. In the close municipality of Francavilla Fontana one can find other important monuments to visit, that enrich further the cultural history of Latiano. 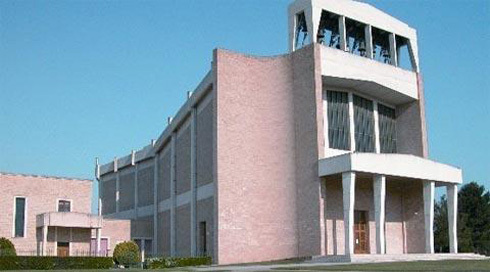 There are actually palaces and churches describing various historical periods. The most important above all remains surely the Palazzo Imperiali. 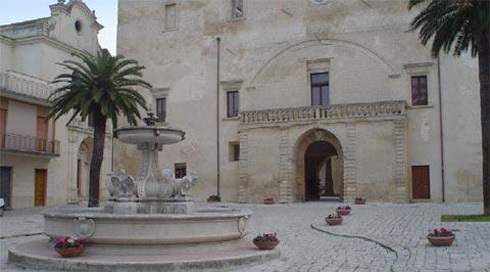 These two municipalities belong to Parco del Negroamaro, a social, economic and cultural park, involving 25 communes of the Central Salento, belonging to the provinces of Lecce and Brindisi. The main purposes of Parco del Negroamaro, realized in 2006, are turned to improve the touristy services, to stimulate the traditional and cultural manifestations and to promote the territory at popular level. 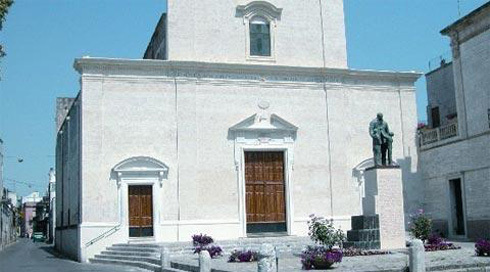 Mesagne, Brindisi, San Vito dei Normanni, Carovigno and Ostuni. 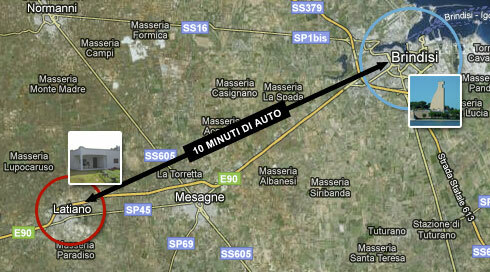 E 55 highway (S.S. 16 e S.S. 379) Bari–Lecce: Exit S. Vito dei Normanni, then S.P. 35 for S. Vito and S.P. 46 for Latiano. 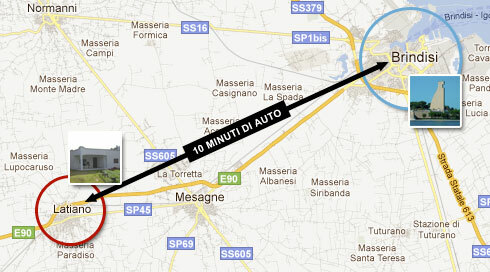 E 90 Highway (S.S. 7) Brindisi–Taranto: Exit Latiano. State railway: Lines Roma–Brindisi, Milano–Brindisi, Milano–Taranto, Roma–Bari–Taranto. 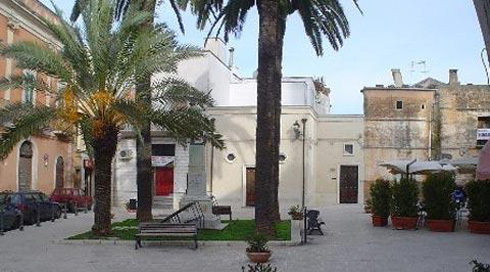 On the interval Brindisi–Taranto and vice versa, station of Latiano.